To break 200 horsepower on a naturally aspirated sled and be in the low 400’s on dry weight plus have show quality craftsmanship on the fit and finish. 1. Used a 3rd brake light off a Z3 BMW Coupe. – Welded a curved housing onto a Van Amburg bumper that I modified to fit onto a CR Racing tunnel. – The brake light is only a single function LED light bar so I wired in a Blaster X microprocessor and a relay off my brake handle. – The tail light is always on, but when I hit my brakes the LED’s flash in a switchable sequence. 2. Had a friend of mine weld up some chromoly A-Arms that gives “SubZero” a 36 inch ski stance. – I don’t know of any aftermarket company that offers this on a M-Series style front end. 3. This one everyone asks about. I installed a carbon fiber exhaust pipe off of a tuner car which I mount under my Skinz seat. – Purchased to exhaust can off Ebay. Pulled all the guts out of it, rolled a piece of aluminum for inner strength, then reassembled it. Welded mounting brackets on the can and bolted it to the underside of the seat frame. – I had a lot of help from a lot of people and products that helped me make my vision come alive and function. – I was able to hit my numbers. They usually do more head shaking and jaw dropping before they start with the 20 questions. One of a kind sled. Impressive fit and finish with some hps to back it up. Time spent: Spent 2 years buying, modifying, making parts. Had about 150 video hours of the actual assembly time. A good friend of mine did the video edit in which I assemble "SubZero" in just over a minute!!! Money spent: A little at a time and a lot all together. 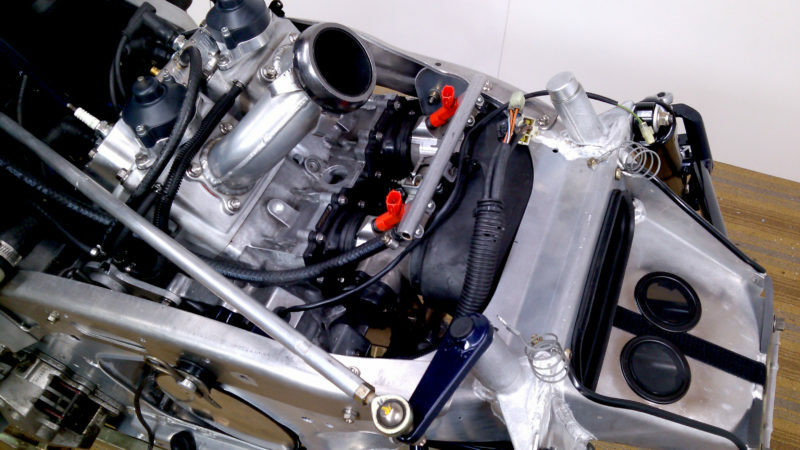 Engine: I used the 1000cc engine out of my totaled 2007 AC. 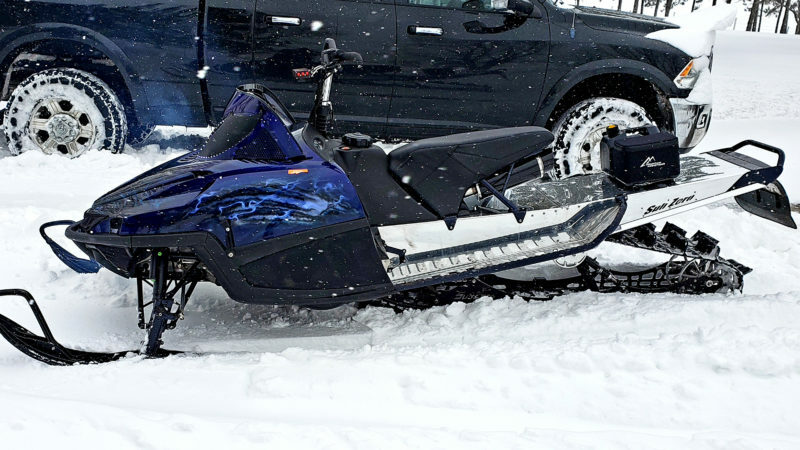 Performance #'s after upgrades- - Engine HP - 213.6 - HP to track - 89.6 - Max Torque - 144.9 Upgrades include: - High elevation porting done to cylinders, (D&D Power Sports). - The crank balanced and pork chopped. - Wiseco pistons - Bikeman head - Bellow Style Power Valves - Used BDX oil injection elimination kit. - All Titanium fasteners and bolts. - Shaved 2.5 lbs of extra aluminum off engine casting (weight). Drivetrain: - Using newer stock Cat clutches with Dakota Pro weights. - Titanium fasteners & clutch bolt - BDX light drive with Extreme Lite Weight 60/60 gears. - Prolight Trackshaft with 8 tooth drivers. - 2.6" Camoplast track 162" x 15". Ported & shaved. 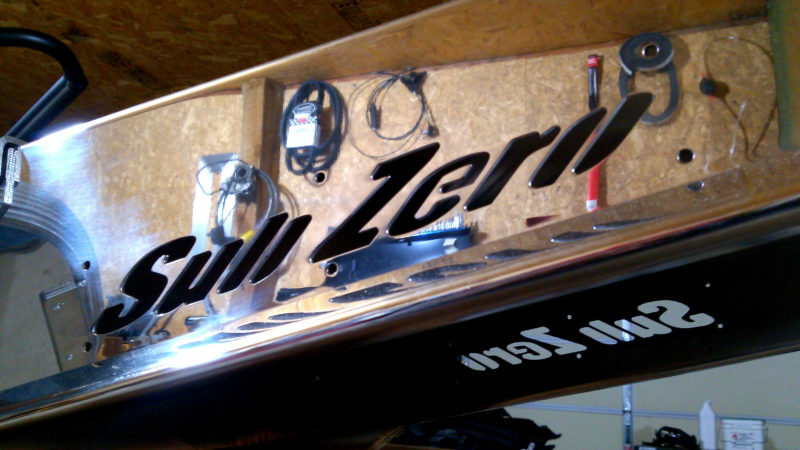 Tunnel/Chassis Modifications: Had CR Racing out of Canada make my tunnel with the "SubZero" logo. Polished to a mirror finish. -Coolant travels thru the running boards for cooling and keeping them free of snow. - The taillight is a 3rd brake light off of a Z3 BMW coupe fit onto a Van Amburg bumper. 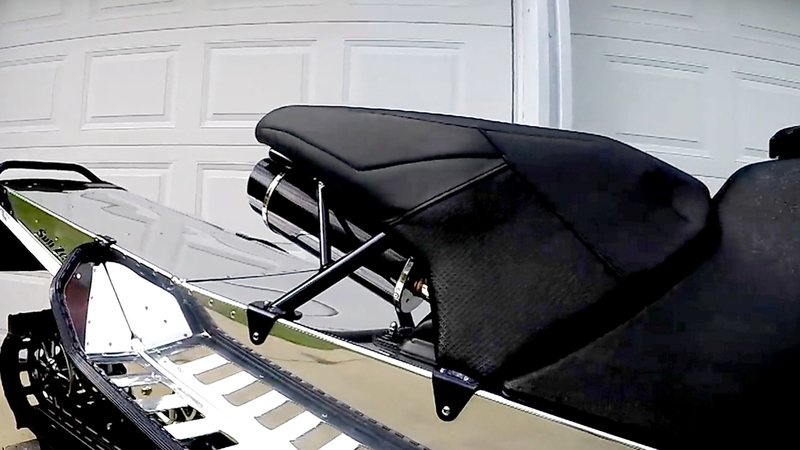 - Custom made seat by Skinz Protective Gear with custom exhaust canister storage. - BDX chromoly adjustable steering post. - All Titanium fasteners. Suspension: Front Suspension: - Custom chromoly A-Arms for a 36" ski stance. - Fox Float Evol piggyback shocks. - Cat skis and spindles. - All Titanium fasteners. Rear Suspension: - Timbersled Mountain Tamer Suspension. 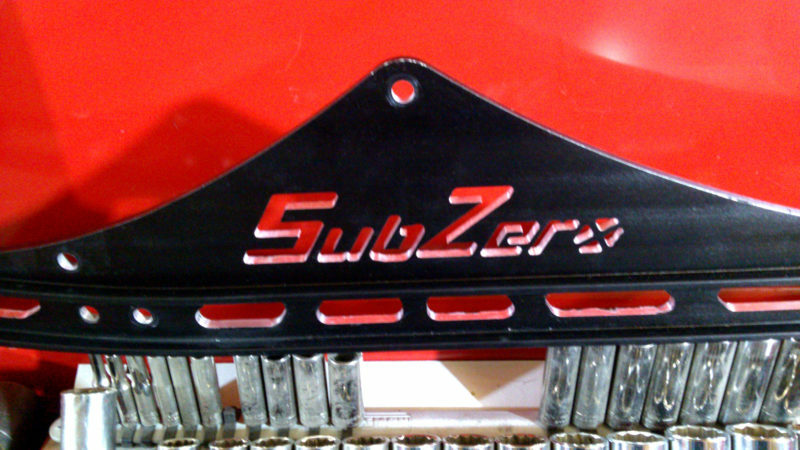 - Custom IceAge Performance Rails with the "SubZero" logo. - 10" billet MMP rear idler wheels. - Fox Float shocks. - All Titanium fasteners. 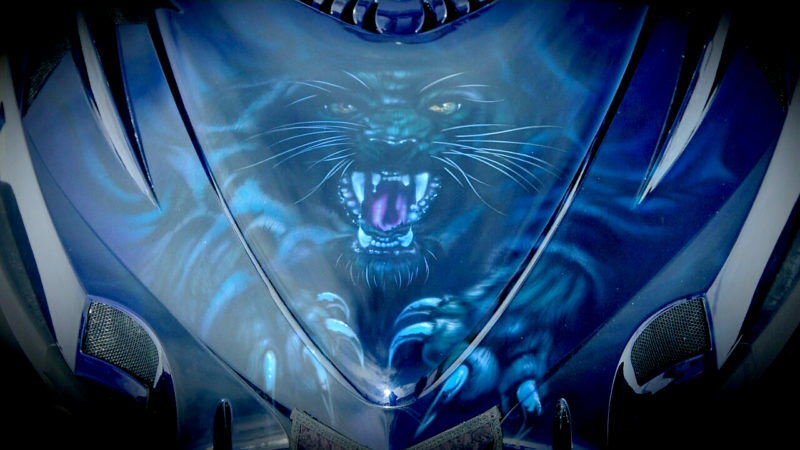 Finish - Paint: Hood and windshield are custom airbrushed by a good friend of mine. 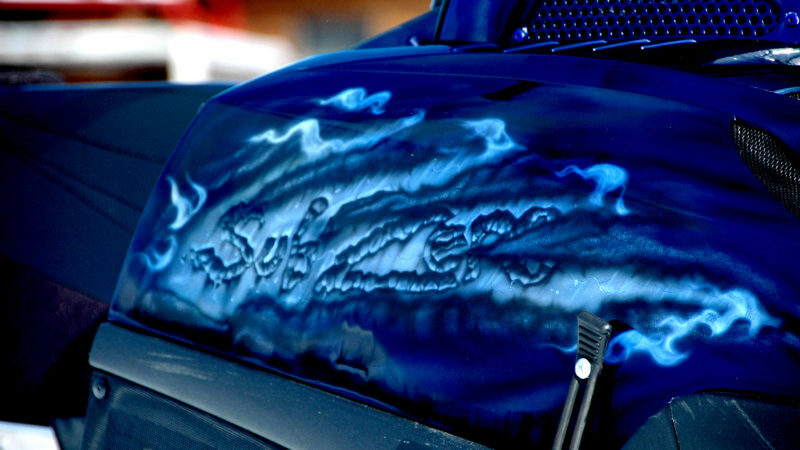 - All custom parts are powder-coated with an illusion powder. - IceAge rails are anodized black. - Tunnel is polished. Accessories: Lighting: - Headlight - Rigid 6" LED light bar. This can be lowered and tucks behind the windshield for protection from trees and can be raised up for night riding. 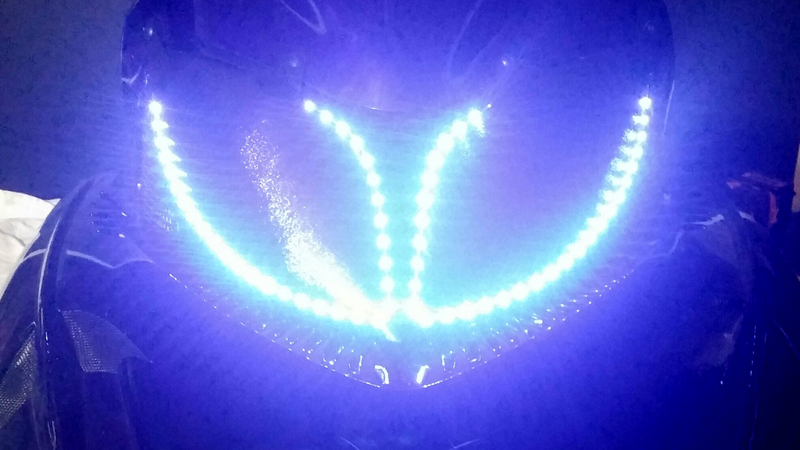 - Running lights - LED strips in headlight delete kit. - Taillight - Z3 BMW 3rd brake light. - Installed electronic reverse. - Digital gauge displays rpm, tach, and water temp. 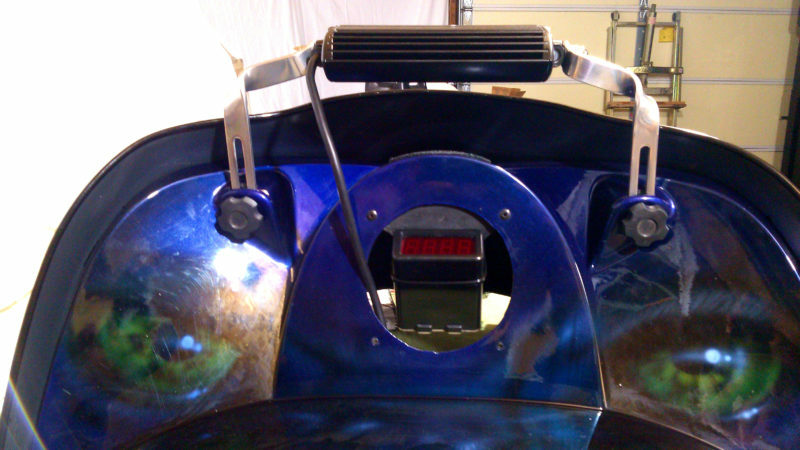 - RSI Racing handlebar heaters. - RSI grips. - Mountain Addiction fuel and storage rack. - BDX hood vent kit. - R & M Lightning panel vents.